Heavyweight contender Hughie Fury 21-1 (11) appears poised to receive the opportunity to fight Kubrat Pulev 25-1 (13) in an IBF final eliminator after Jarrell Miller 21-0-1 (18) walked away from fight negotiations with the big Bulgarian. IBF number two ranked contender Pulev had won the purse bid to face the IBF number three ranked Miller to determine a mandatory contender to IBF champion Anthony Joshua 21-0 (20) of England. But the supersized American’s team weren’t happy with the prospect of heading to Bulgaria to face the 37-year-old “Cobra” and were pushing for an alternative venue for the bout. “We were trying for the fight to happen in the United States, or at the very least some kind of neutral territory, and we just couldn’t make that deal,” Miller’s promoter Dmitry Salita told Sky Sports this week. The New Jersey-based sanctioning body had given Miller a 15-day period to accept terms for the fight. That timeframe was set to expire today. With the IBF number four ranked heavyweight Alexander Povetkin 34-1 (24) of Russia widely expected to face Joshua at Wembley Stadium in September, the next available contender is Fury, who is ranked number five by the IBF. Miller, who is ranked number three by both the WBA and WBO, has other options available that, if successful, will still lead to a fight against unified heavyweight champion Joshua. “Jarrell has demonstrated in his last few fights that he is willing to fight the best and he’s stepped up. That’s always been our goal,” continued Salita. 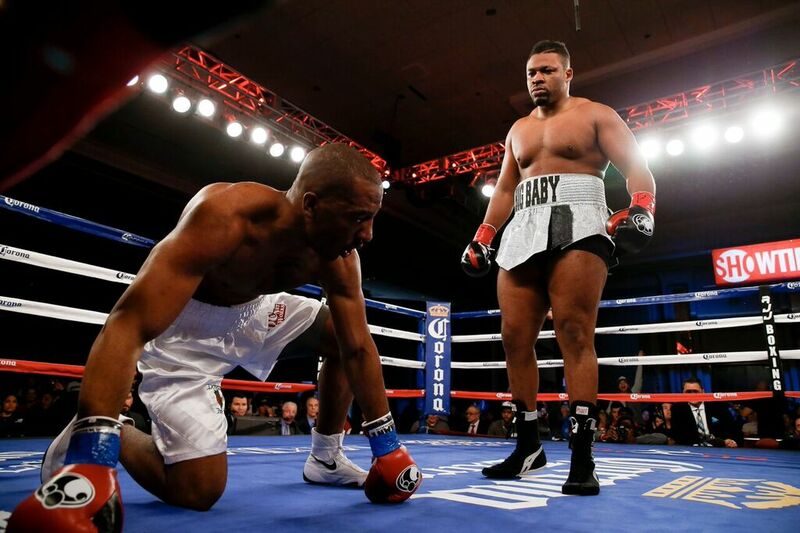 In his last bout “Big Baby” Miller scored a clear-cut points win over Johann Duhaupas of France in a lacklustre affair at Barclays Center in Brooklyn, New York last April. Fury has fought just once since losing his bid for the WBO heavyweight title to then-champion Joseph Parker 24-1 (18) of New Zealand last September when he claimed the national crown from Sam Sexton 24-4 (9) by TKO5 in May.